In the global market, you'll find you need to be able to say more than just “hello” in another language. You need to talk about money, trade, labor, and more. 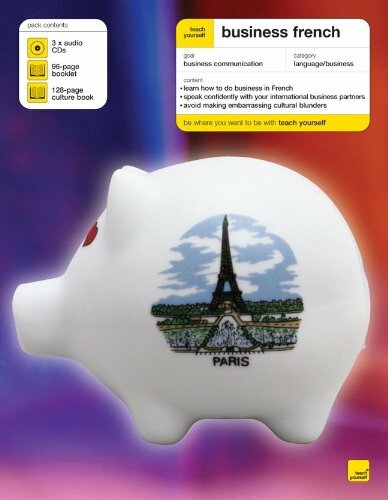 Teach Yourself Business French will give you all you need to feel confident about doing business in a language other than your own. On the three audio CDs, you get the essential language you will need for all general transactions as well as some industry-specific jargon. The language is spoken by native speakers, so you will hear how the language really sounds and have ample opportunities for practice. The book portion of the package offers transcripts of the dialogues from the recordings and examples of business documents, so you can be sure you can read business Spanish as well as speak it.